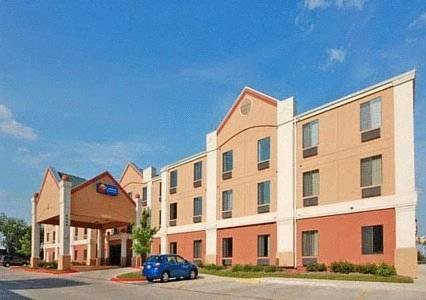 The Comfort Inn and Suites is located close to all of San Antonio's shopping districts, attractions, businesses, and is just minutes away from the famed River Walk. This beautiful hotel features flat screen TVs, microwave, refrigerator, free high speed Internet and continental breakfast. Why not up-grade to one of our suites that feature large work spaces, wet bars and sleeper sofas? Whether traveling on business or pleasure, be sure to take advantage of our pool and spa, exercise room and business center. We are looking forward to seeing you soon. Please be aware we no longer have rollaway beds available.